Android apps for the win. One thing is certain about Google’s fall event: A Pixel will steal the show. It just might not be the one that fits in your pocket. A rumor published by Android Police says Google is working on a follow-up to its discontinued 2nd-generation Chromebook Pixel, which hasn’t been available for purchase since mid-2016. A new model would be a pleasant surprise for fans of the Google laptop, which was hailed at the time as the best Chromebook ever made. The third model could be the charm that brings premium Chrome devices mainstream. The story behind the story: When a new Chromebook Pixel didn’t arrive last year, some speculated Google would retire the premium laptop as it focused on building its own smartphone. That assumption seemed correct when senior vice president for hardware Rick Osterloh seemingly declared the Chromebook Pixel dead earlier this year, bluntly stating the company had “no plans” to introduce a new model. However, Osterloh would quickly revise his statement with a less definitive, “we just have no plans to share at this time­.” Now it appears Google will indeed have plenty to share at its fall event, especially since it will pack a killer feature: the ability to run Android apps. Android Police’s report is extremely light on details, but a previous rumor about a “convertible” laptop arriving in the third quarter of 2017 (which could either mean a 360-degree hinge like Samsung’s Chromebook Pro, or a detachable keyboard like the Surface Pro) offered some more info: a 12.3-inch screen, 32GB or 128GB of storage, and 8GB or 16GB of RAM, all in a device around 10mm thick. (By comparison, Apple’s MacBook is nearly 13 mm thick, and the 2nd-generation Pixel was 16.3 mm thick.) The hybrid device is also expected to include an optional Wacom stylus. But the biggest difference between a 2017 Chromebook Pixel and the 2015 one would be Android apps. While it’s highly unlikely that Android and Chrome will ever merge into a single OS (despite the persistent rumors), Google opened up the Play Store to Chromebooks last year and has slowly been rolling out Android app support with newer models. The overall experience, however, remains pretty hit-or-miss. A Google-designed machine could spur more developers to optimize their apps for the platform. Chrome would be more viable to power users with a full catalog of Android apps. 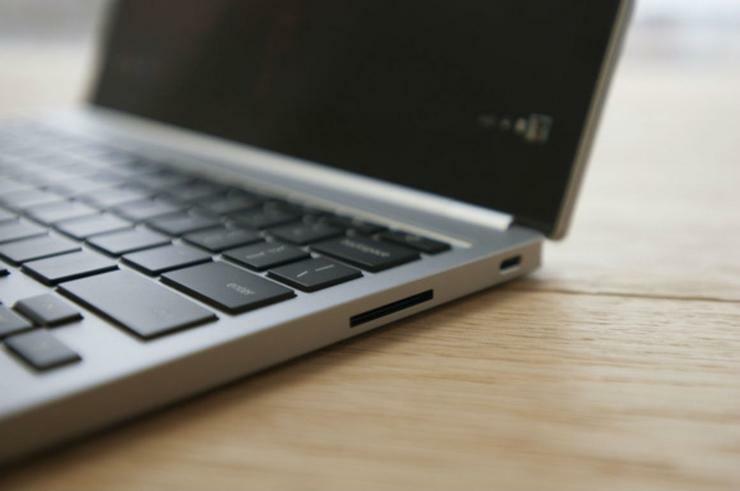 An app-empowered Chromebook Pixel could actually pose a challenge to Apple’s MacBook and iPad Pro. Add LTE connectivity and a stylus, and you have the world’s first must-have Chromebook. While some nicer Chromebooks have shipped over the past two years (including the Dell Chromebook 13 and HP Chromebook 13), they’re still largely built for price rather than power. A new Chromebook Pixel—especially one that pushed the boundaries of design—would solidify the Pixel line as the premier brand for Google’s OS platforms. In short: The time is ripe. Along with the new Chromebook, Android Police also says that Google will be introducing a new mini version of Google Home to challenge Amazon’s Echo Dot.